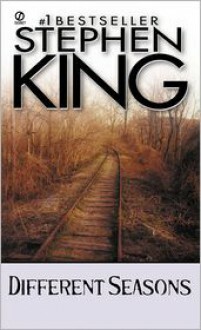 An official Signet movie tie-in, this book contains four of Stephen King's most popular novellas. "Apt Pupil", one of the stories in this work, is scheduled to be released in early 1998 by Phoenix Pictures in movie theaters nationwide. Directed by Bryan Singer ("The Usual Suspects"), it stars David Schwimmer, Ian McKellen, Brad Renfro, Joe Morton, Kevin Pollack, and Elias Koteas. Two other stories from this book, "The Body" and "Rita Hayworth and Shawshank Redemption" were also made into major motion pictures.